This inventive design actually provides for two different wrist sizes through a cleverly designed clasp. It is part of the Classic Collection but definitely has a modern twist. 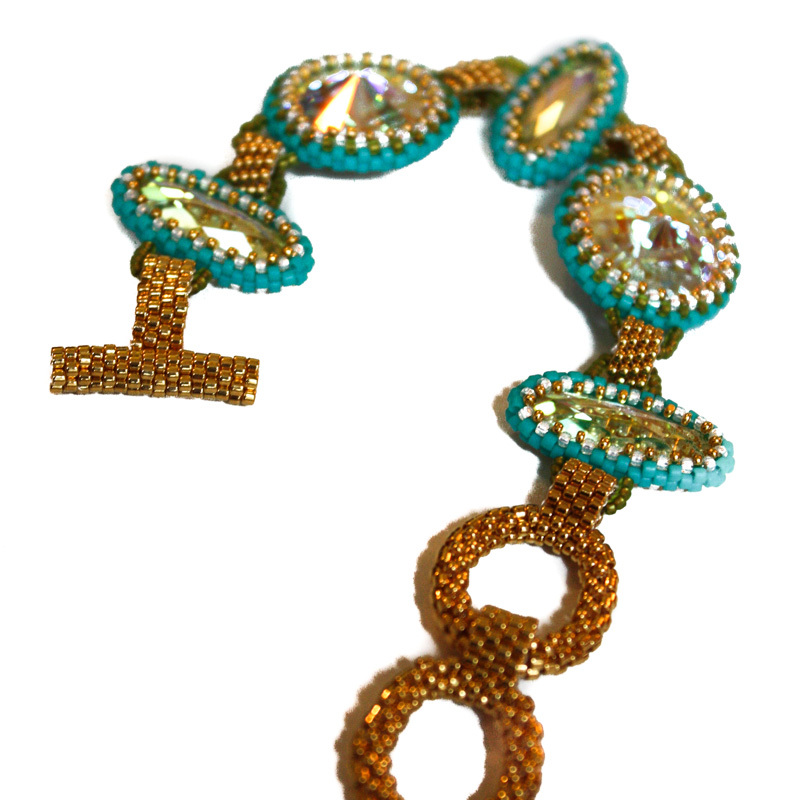 The palette for this piece provides bold turquoise color in an elegant 14 kt gold environment.